This recipe and picture is my own. Tried and tested for several health benefits. This recipe is great for summers specially. It contains yellow bhuna chana(roasted black chickpeas) , sugar, almonds, fennel seeds (saunf) and green cardamom powder(hari elaichi ka powder). 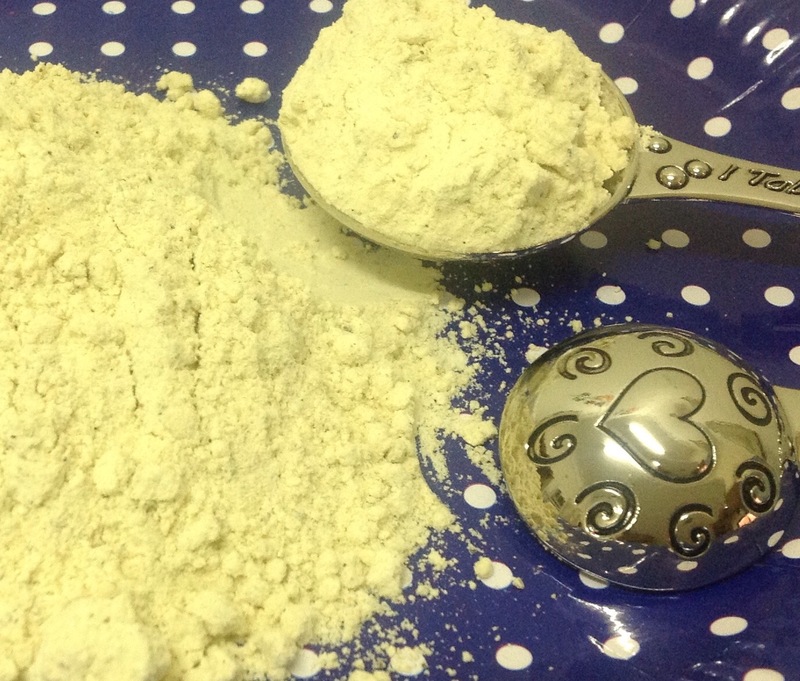 If you are on diet,this powder can be a supplement of one time diet easily. So that way you can skip one meal of noon or night and take this. It contains sugar in little quantity as energy booster. For kids it is a great substitute for milk. It is vegan. It contains almonds green cardamom to keep soothing effect on stomach as well as vitamin e from almonds is good for eyes n brain too. It is a great health drink for tummy and specially beneficial for those who are suffering from indigestion and too much farts because fennel seeds are very beneficial for stomach related diseases. 1- Roast chickpeas and almonds together in microwave for 3-4 minutes with 1 minute intervals.Cool it for 30 minutes. 2- Put all things together and grind it very well to the finest powder. 3- Sieve it two three times. 4- Store in air tight box. 6- You can mix it with chilled water as vegan drink or blend in mixi with chilled milk for a rich taste. 7- While making paranthas you can fill this in the dough ball (atey ki loyi mein). 8- For very strict weight watchers there is an option to replace sugar with black salt, roasted jeera (cumin seeds) n carom seeds (ajwain) in place of fennel seeds and cardamom.